I just downloaded the latest version of SQLPro for Postgres 1.0 and install it on my Mac OS X Mojave. 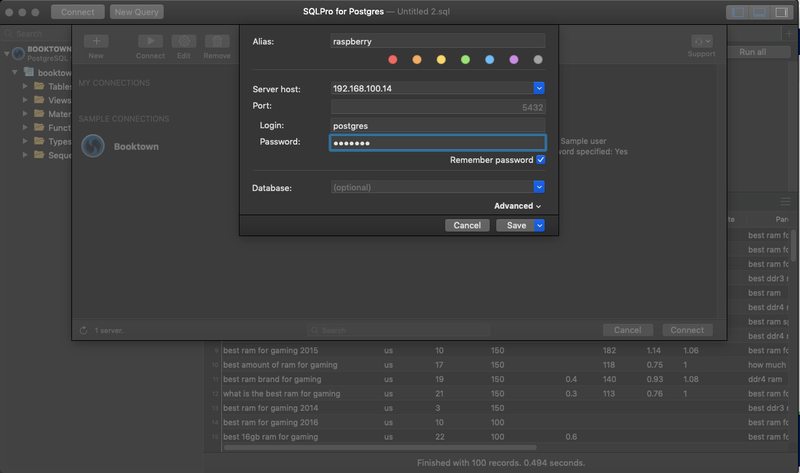 With this tool, I can easily manage my PostgreSQL Database from my Mac. If you are a database administrator, you will need a reliable tool to manage your database. A simple task such as create a new query can be a pain in the head if you don’t have a good tool. 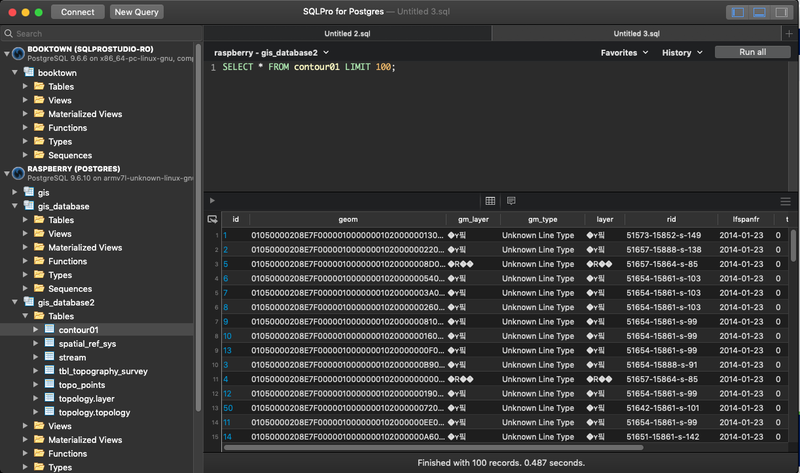 SQLPro for Postgres is a simple, yet easy to use Mac program. You can connect to multiple servers both locally or remotely. During our tests, this software performs very well to connect our local server and cloud server. Simple user interface and easy to use. Even if you are new to SQLPro, you won’t have any difficulties when using it. 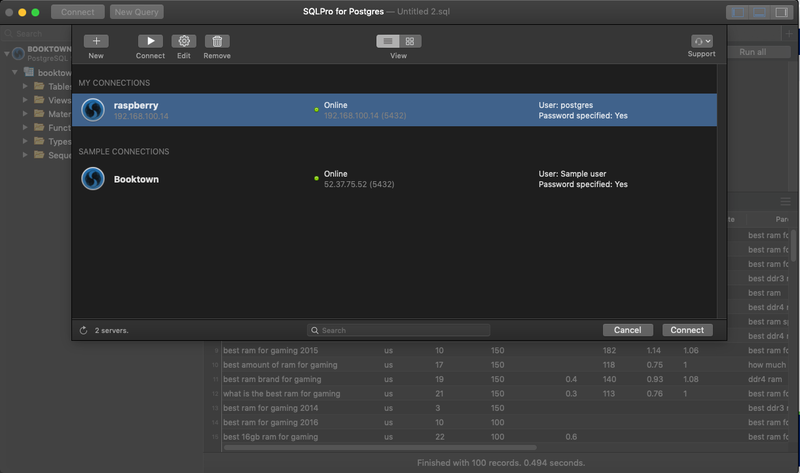 First, download SQLPro for PostgreSQL for Mac from this link. Then simply double-click the zip file to extract. Then, double-click the .dmg file to mount and finally install it by dragging the icon to your Application folder. No special requirements needed. This program supports Mac OS X Mojave. This program also available in Mac App Store. After install, you can connect to your own server by entering the host IP address, login name, and password. All connected servers will be visible within the program. Finally, you can start working with your database. SQLPro is very comfortable to use. I like the autocomplete query syntax as well as the UI design. Managing multiple queries sometimes make me stressful but with this program, I can be more relax and enjoy my job. SQLPro for Postgres full version cost $39.99. For me, it still not too expensive. It is a good program but there are still many missing features. For example, it would be great if we can export or migrate a database from one server to another. If you need this kind of feature, then SQLPro is not for you. I would recommend Navicat Premium. I am a Linux system administrator who love testing new software especially cloud backup software. The Best Backup Software Review Copyright © 2019.